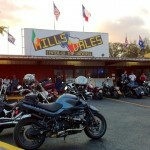 Jan 11, 2012 – Hills & Dales Ice House from 7pm – 10pm. Hills and Dales Ice House advertises that its the Center of the Universe. If you’ve ever been there, you would testify to that by the number different folks that stop by for a cold drink. Its great place to sit and check out the bikes and the folks that ride them. The crowd is mostly Harley riders and college students from UTSA. There’s an amazing selection of beer on tap and more in the coolers. Be warned that food is not served there besides chips, nuts and such. 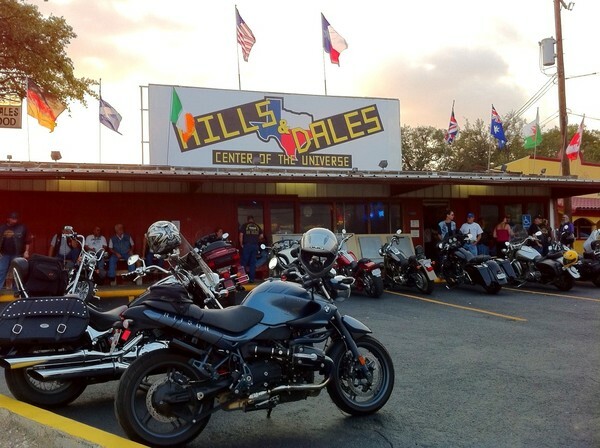 This entry was posted in Bike Night and tagged Bike Night, San Antonio. Bookmark the permalink.